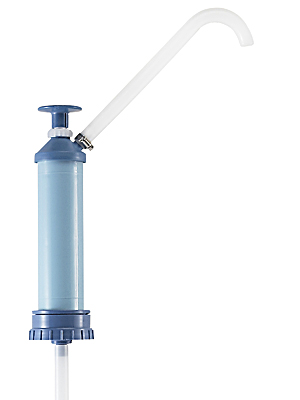 Material: Polypropylene with flexible 33" intake tube. Flow Rate Per Stroke: 2, 4, 6, or 8 oz. For Containers: 3.5, 5 6, 7, 15, 30, 55 Gal. Fits Neck Size: 3/4 and 2"
Fits our 5 and 55 Gal, Drums and Pails.